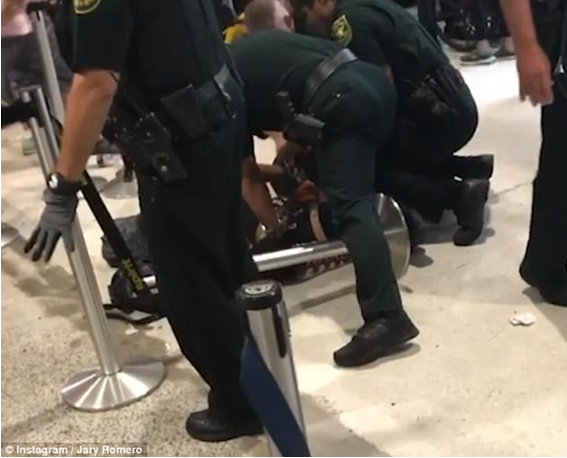 Following an episode of airport mayhem and a number of individuals arrested, a calmer Tuesday has started at the airport in Fort Lauderdale, Florida. Many canceled flights from Spirit Airlines resulted in extensive lines, boiling emotions, and troublesome travelers. 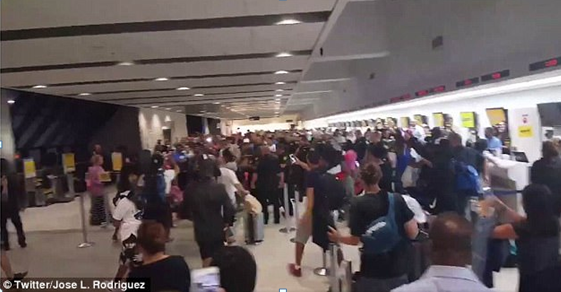 Footage from several smartphones witnessed an airport in complete disarray near Spirit airlines’ terminal and was quickly submitted online. Angry and hostile flyers yelled at airline staff as law enforcement attempted to reestablish control of the situation. The flight cancellations put several hundred travelers in a tough spot, scrambling to get to their respective destinations. 7 News Miami caught footage of the incredibly long lines and the cop cars that were at the end of them at the entrance to the airport. Soon after, footage from phones observed a woman and two men in handcuffs getting hauled away by police. In total 3 individuals were arrested for disorderly conduct. Share this crazy episode with those you know, hit SHARE below!